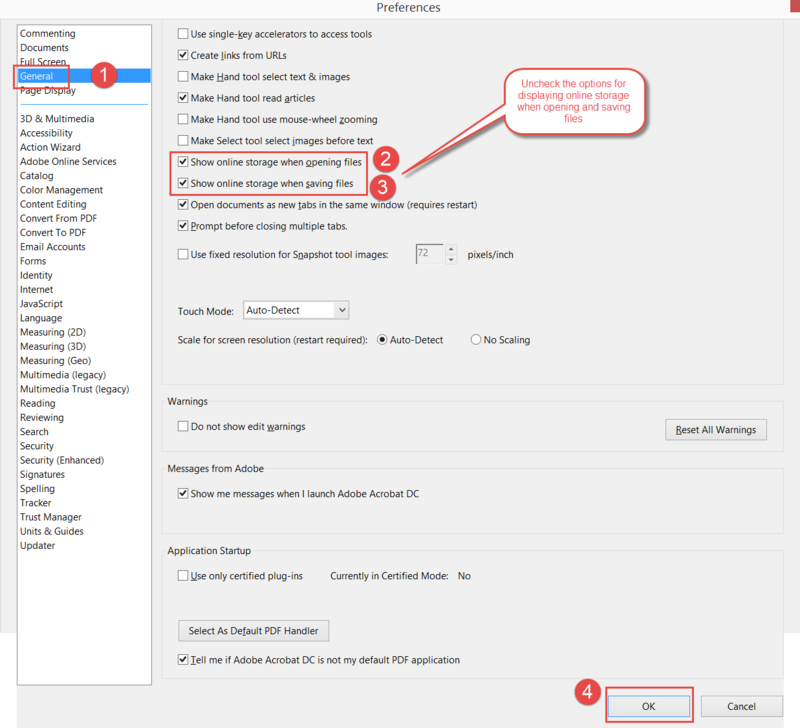 The AVAiCDialog dialog used by Adobe Acrobat DC to display online storage options for opening and saving PDF files cannot be read by popular screen readers such as JAWS for Windows, NVDA, and Window Eyes. 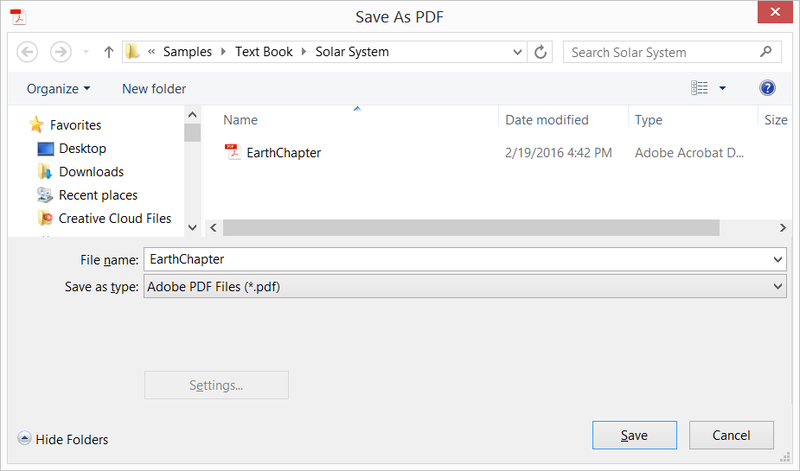 Adobe Acrobat DC Save as PDF dialog. This interface cannot be read by screen readers. A workaround is available which involves bypassing this dialog which Adobe Acrobat and Adobe Reader DC use to display online storage options for opening or saving PDF files in favor of the accessible standard Windows File Explorer dialog. Screen reader users can uncheck the Acrobat DC preferences for showing the online storage options for opening and saving files. This allows them to bypass Adobe’s AVAiCDialog and use the standard Windows dialogs for opening and saving files. Select General from the Categories list. Uncheck the box for “ Show online storage when opening files ” (keyboard accelerator is “o”). Keyboard users can also Tab to this check box located in the Basic Tools section of the Preferences dialog. Uncheck the box for “ Show online storage when saving files ” (keyboard accelerator is “s”). Keyboard users can also Tab to this check box located in the Basic Tools section of the Preferences dialog. Adobe Acrobat DC Preferences dialog showing options for suppressing the display of online storage options in favor of accessble Windows dialog. 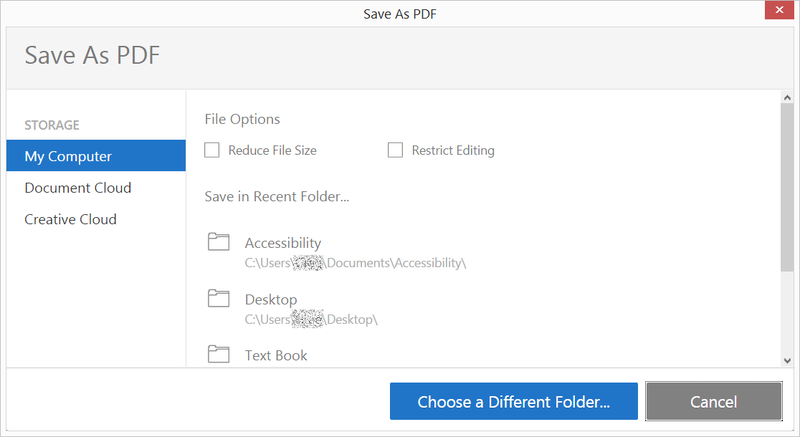 Once these changes are made, Acrobat DC users can open and save PDF files using the standard Windows File Explorer dialog for opening and saving files.